The pantry has been stocked, volunteers have been secured, and innovative ways to get students to utilize the pantry are underway. 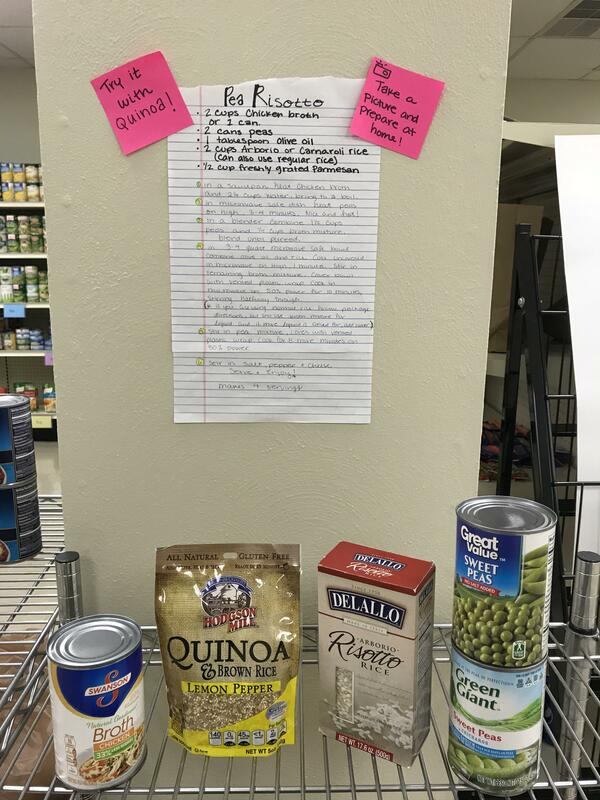 Students have started to stop by the Cats’ Cupboard and use the donations to feed themselves, children, significant others, and friends. 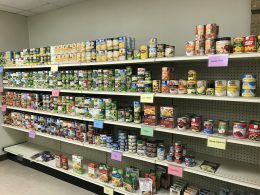 Official data has not yet been released yet, but as people use the pantry, volunteers track what they take, ask a few demographic questions, and process any requests they might have. 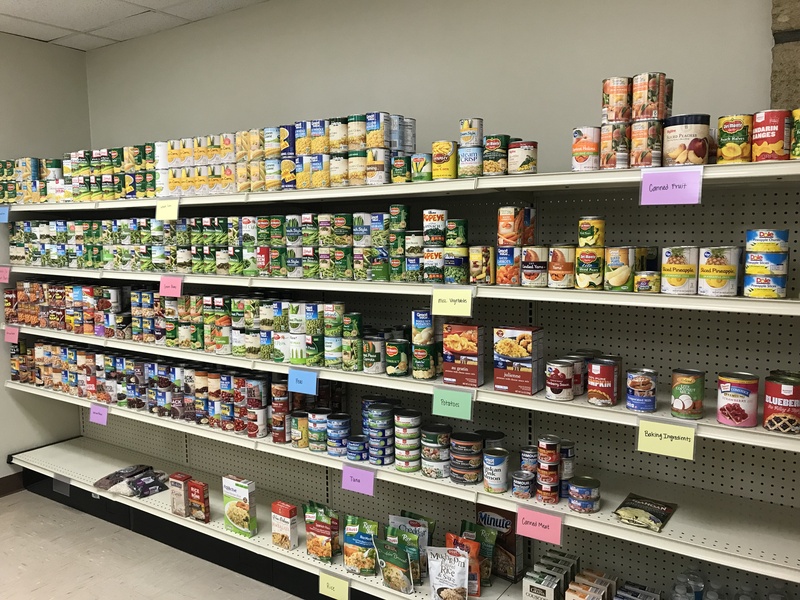 This ensures the pantry is well stocked, only K-State students are utilizing this resource, and the initiative knows who they are feeding on a daily basis. Many ask how they can be apart of this initiative and our best answer is to donate the items in lowest stock at the pantry. 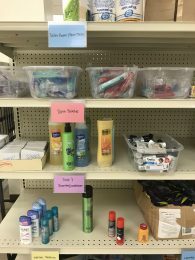 We constantly ask Erin Bishop what items she needs, and she updates us on the items that would be best utilized by students. 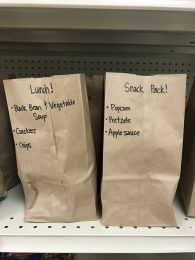 Currently, they are asking for cereal, granola bars, canned tuna, canned chicken, dry pasta, canned fruit, applesauce, instant potatoes, and stove top stuffing. Next time you’re in Manhattan, make sure to stop by the space (009 Fairchild Hall) and drop off your donations! 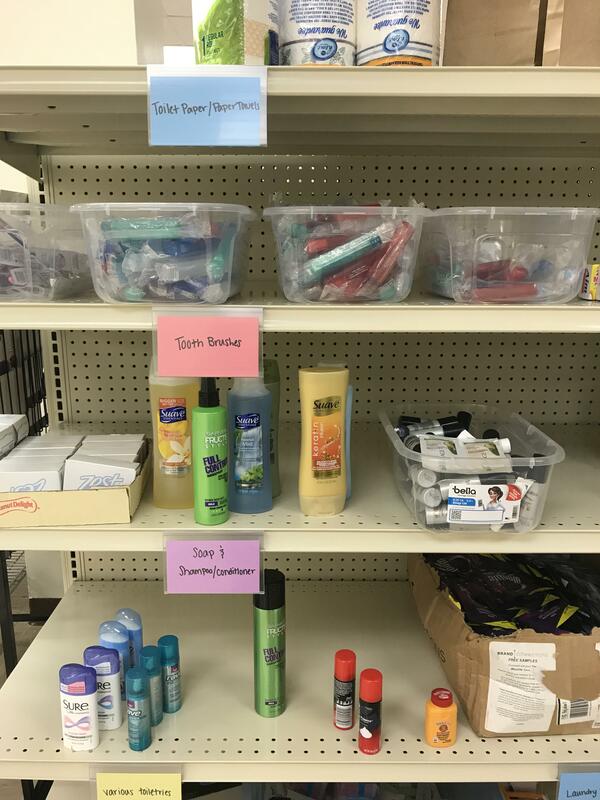 On top of those conventional items, Erin displays a need in seasoning mixes, salad dressings, cooking oil, powdered milk, feminine hygiene products, bar soap, toilet paper, paper towels. 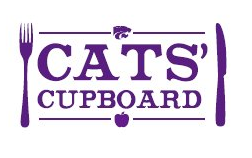 Additionally, cash donations are also accepted (you would need to email catscupboard@k-state.edu and go through their K-State Foundation account to process this donation) but another way to send a monetary contribution is a gift card to one of Manhattan’s local grocery stores. 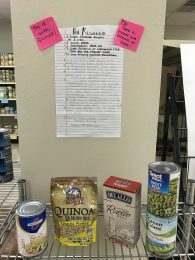 HyVee, Dillions, Target, Walmart, and Aldi are some options in which the administrators of the food pantry can utilize this money as items are needed. This resource would not be possible without the prior support and contributions of K-State alumni, Manhattan partners, students, administration, faculty, and staff. THANK YOU! Follow Cats’ Cupboard on twitter!